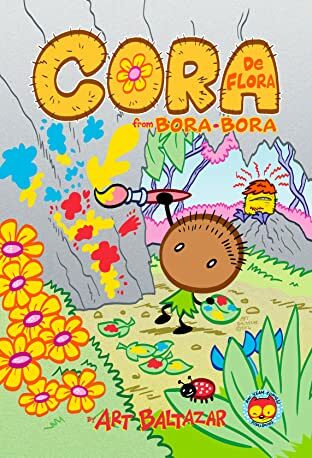 CORA De Flora from BORA BORA By Art Baltazar Welcome to the world of CORA! She's a coconut and she loves to paint! But what happens when she runs out of a certain color? What happens when that color is blue, the rarest color on the island? Solution: find the flower that makes the color. But, the flower is guarded by the evilest guy on the island...The GRZZLRR! OH NO! He's not nice at all! Perhaps her friends Mulpy and Balsa have suggestions. Meanwhile Cora's imaginary friend, Dewie, makes his appearance! Is he friend or foe? What do the others think of this swampy creature? 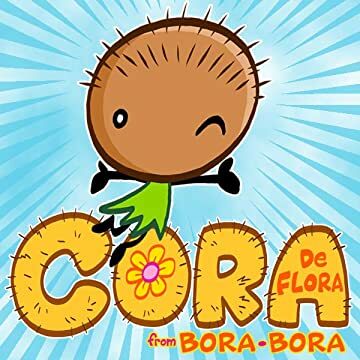 Find out in the pages of CORA De Flora from BORA BORA! The brand-new original comic from the mind of Famous Cartoonist ART BALTAZAR! Spinning off from the pages of GRIMMISS ISLAND, this ALL AGES adventure will surely charm the creativity in us all! AW YEAH! True story.